The company said in the regulatory filing that there was an incident in the red mud (bauxite residue) storage area connected to the alumina plant situated at Muri, Jharkhand, on April 9, 2019. 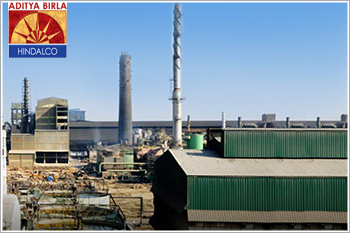 Shares of Hindalco Industries were trading lower on the NSE in the morning trade. The company said in the regulatory filing that there was an incident in the red mud (bauxite residue) storage area connected to the alumina plant situated at Muri, Jharkhand, on April 09, 2019. “The incident involved a spillage in the red mud cake storage area. As a precautionary measure, operations have been temporarily suspended to assess the situation. Preliminary investigations indicate no material impact on the surrounding environment or to property. Efforts are ongoing to clear the spillage. Four persons with minor injuries have been treated, and one contract workman is missing. This incident is not expected to have any material impact on the company's performance,” the company said in the filing. Hindalco Industries Ltd is currently trading at Rs216.10, down by Rs0.65 or 0.3% from its previous closing of Rs216.75 on the BSE. The scrip opened at Rs216 and has touched a high and low of Rs216.70 and Rs210.70 respectively.